What type of insurance do you need for running a peer to peer marketplace? What type of insurance do you need for running an online marketplace? Let's have a basic overview about what marketplace risks you may confront and what kind of insurance you need to avoid those risks on your marketplace. From the day an entrepreneur starts a business whether it is online marketplace or shops beside the streets, he or she exposes himself or herself to certain risks. As an independent seller and online marketplace business owner, you're on the hook for any property damages, customer injuries or sicknesses your product or service might cause. Sellers are often unaware of flaws in design and manufacturing, and not having insurance can cost them a lot of money and even their entire company. One lawsuit or catastrophic event could be enough to wipe out a small business before it even has a chance to get off the ground. Fortunately, as an online marketplace owner you have access to a wide range of insurance types to protect you against these dangers. Don't leave your online marketplace unprotected – consider investing in marketplace insurance and have a secured marketplace. And it is a good idea for you to remain aware about marketplace risks, thinking about protecting yourself, your customers and your marketplace. Here is everything you need to know to cover your third-party marketplace business. So, let’s learn about what marketplace risks may arise and what kind of insurance you need to avoid those risks on your marketplace. What kind of insurance do you need to avoid risk on your marketplace? Actually, while running an online business, your main exposures are from "referring customers to buyers." If a customer buys a boat off your marketplace and the deal goes bad or something in the boat causes it to hurt a third party, your website or marketplace (and you depending on how you set up the company) can be brought into a lawsuit. Again copyright infringement can be a source of lawsuits. Does your marketplace look a little too much like Ebay's marketplace? Last but not least, when you have a site or marketplace like this, there are bound to be reviews of buyers and sellers. What one person calls a review; another may call libel, etc. When your website gets hacked and private information gets stolen, it is expensive to notify everyone, monitor their credit, and assure your current customers that something like that won't happen again. So, you definitely want a "cyber policy" that includes coverage when your marketplace gets hacked. You should talk to a broker that has experience in this field. It is usually heard that brokers get sued from time to time because they misrepresent the policy or what is covered. If something does go wrong, it would be easier for you if you have proper coverage and just get paid to cover your damages, than launching a lawsuit or getting nothing at all, despite paying your insurance premiums. Also, consider the reputation of the insurance company you choose. Many take forever to actually look at your claim, and it could be ages before they decide and/or pay you in the case of a loss. Imagine waiting 18 months to get money after a huge loss (e.g. Web servers crash and you lose all your orders). Can you stay in business for 18 months without compensation? A few insurance companies have mandates to respond within few hours or days of when you submit a claim. You are recommended to consider directors and officers (D&O) insurance, as well as errors and omissions (E&O). Both are helpful for people running the marketplace business and service. Sellers or vendors are very vital to the business in the marketplace model. Sellers or small merchants listed online on the marketplace are the backbones of this format. What insurance is needed for a peer to peer marketplace? 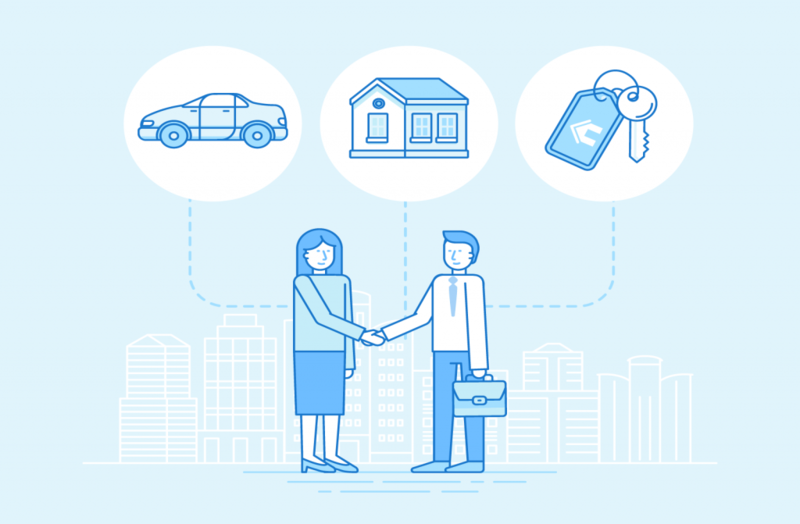 When opening your marketplace for sale or renting between individuals, having insurance is essential to cover yourself in case of problems and increase the trust of your community into your marketplace. To properly manage the transactions made on your peer-to-peer marketplace, you will need to rely on good excess insurance tailored for peer-to-peer transactions. Actually it’s up to you and the business model you want for your marketplace. for example, on most of peer to peer car rental platforms, the cost of the insurance is included in the rental price.